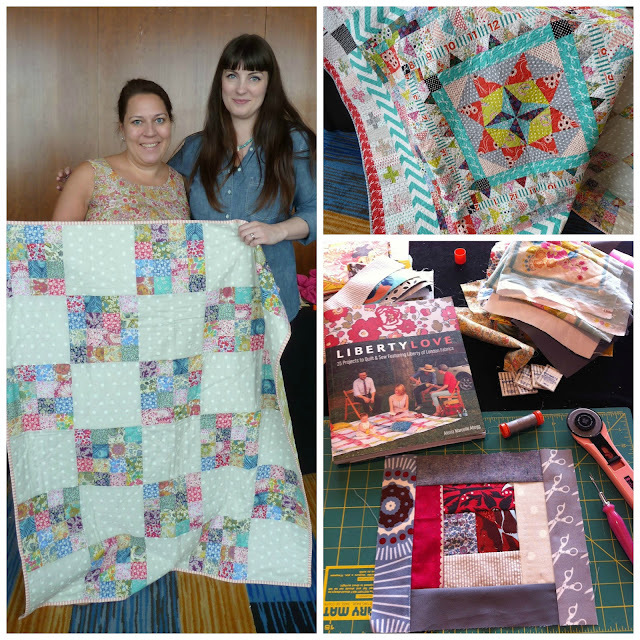 Our final day of SewDown was jam-packed with quilty goodness! Our morning workshop was with the amazing Alexia Abegg of Marcelle Medallion fame. It was so inspiring to see this fabulous quilt in person!!! 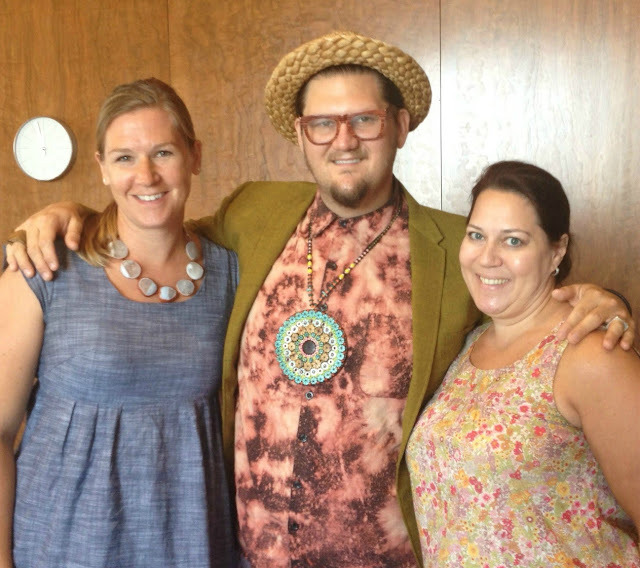 Lunch included an absolutely hysterical "lecture" by Project Runway Season 1 winner and fabric designer Jay McCarroll. From there Aimee and I headed to New York City for a little fabric shopping. 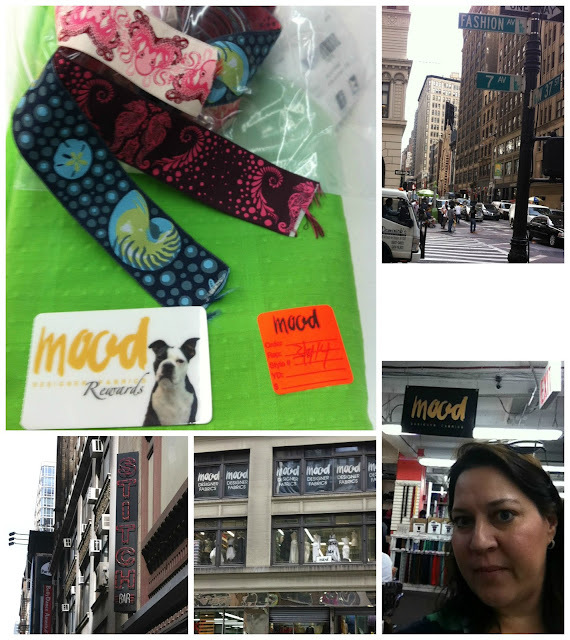 As luck would have it we were staying only a few blocks from the Fashion district so we headed over to Mood. The fabric selection is absolutely overwhelming but I did find some fabulous Tula Pink Saltwater ribbons and this awesome lime green cotton lawn. Oh, I want to go to Purl Soho! Oh those Lawn fabrics are fabulous! Can't wait for November if Lizzy joins BMQG meeting! Yay for Lizzy House! Oh man, next time I go to NYC for work, I definitely need to carve out some time to go to Purl Soho and drool over all of that Liberty. Looks like you got some great stuff there. Can't wait to see what you make with it. 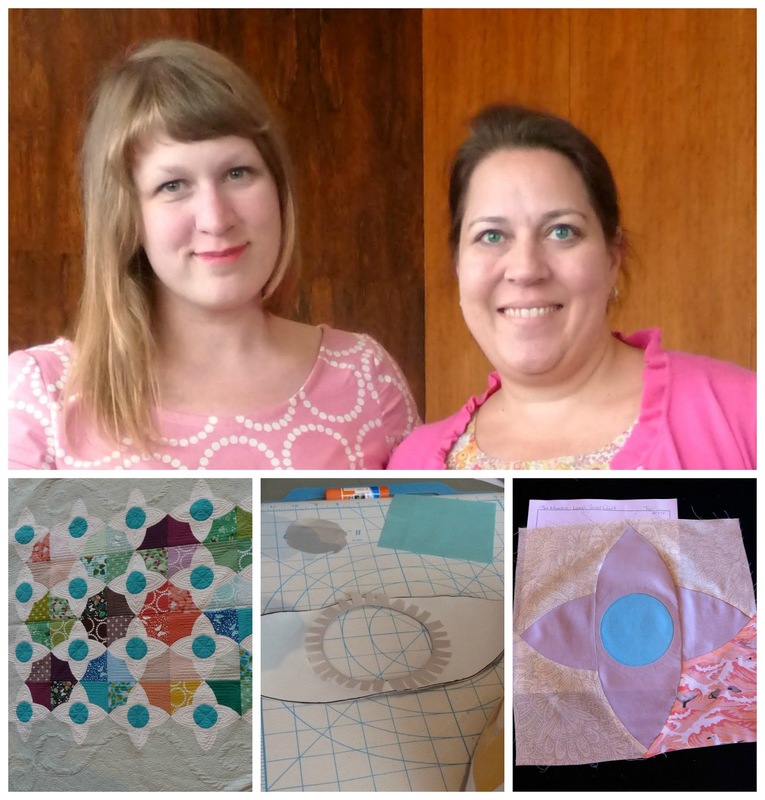 I'm glad you got to Purl AND Mood! Two of my favorite places to go. We'll have to do an NYC fabric trip someday. Who's in?? I am just see those work of quilts. awesome work. Next time I want to go to Purl Soho!